We present a "new statically typed JVM-targeted programming language":http://jetbrains.com/kotlin developed by JetBrains and intended for industrial use. The main design goals behind this project are to create a Java-compatible language, make it compile as fast as Java, make it safer than Java, i.e. statically check for common pitfalls such as null pointer dereference, make it more concise than Java by supporting local type-inference, first-class functions (closures), extension functions, mixins and first-class delegation, etc; and, keeping the useful level of expressiveness (see above), make it way simpler than the most mature competitor -- Scala. The compiler is being developed alongside with an IntelliJ IDEA integration, so the users will get IDE support as soon as they get the compiler (first public version is planned for the end of 2011). 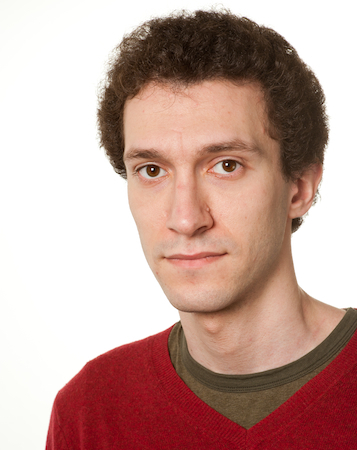 Andrey works as a language designer and implementor at JetBrains. He joined the team in 2010, after spending a few years in academia.